Mialisia is a jewelry line by Annelise and Sean Brown that was launched in June of 2013 and came to be available on Canada since April 2014. The jewelry is truly revolutionary and has an excellent quality that abides by their strict quality control measures. 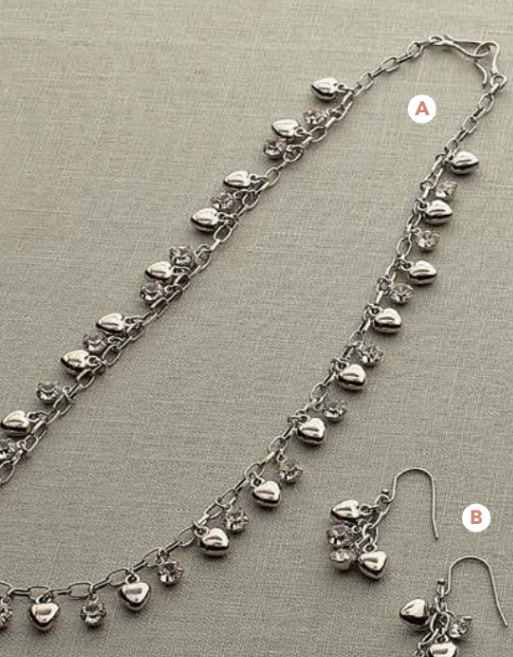 Their VersaStyle jewelry concept changes the way women think about, wear and shop for jewelry. The purpose of their jewelry is for us to be able to wear them in more than one fashion. I checked out their beautiful Bohemian style 28.5 inches long Savannah Blue design. This design attracted me because of its antique silver accents and the energetic looking delicate turquoise and white beads. I also like their 24.5 inches long Love Struck design, which has a beautiful arrangement of hearts and delicate glistening rhinestones. I instantly fell in love with these designs that I can fashion as either a necklace, or wear it on my hair, or wear it as a beautiful bracelet or anklet. Being able to change it up within seconds allows me to where it for any occasion. The birth of Mialisia... Annelise and Sean being parents to four boys always wanted a girl, and planned to name their daughter Alisia. Since they did not have a daughter, they named their jewelry line, Mialisia. Annelise began making jewelry to make some extra income. She woke up one night with an epiphany when she realized a way to completely revolutionize jewelry by replacing the rational claps with a hook. This would allow one piece to be worn an infinite number of ways. She spent the rest of the night making her new “hook” jewelry and sold it all at a craft show a few days later. Since that day, Annelise and her husband Sean have put everything they own on the line to make Mialisia a success. If you want to join their team... you must know that Mialisia is a company committed to their Designers and they always go the extra mile to ensure those who join their business have all that they need to be successful. It is their passion to help women start their journey toward a better life for themselves and their family by joining the team. You will receive 35% commission on retail sales, 5% to 13% commissions plus bonuses, dream car bonuses, reward trips, free jewelry, prizes, recognition and more. Follow Mialisia on Twitter @MialisiaCanada, pinterest and Facebook to find out more information about their designs, and becoming a Fashionista. 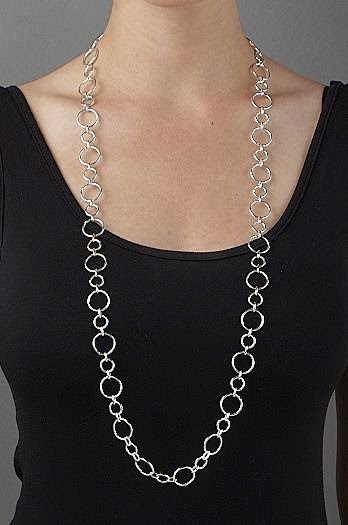 If you are in Canada and would like to win their Simplicity design that measures 43.5" and has silver hoops in varying dimensions (the above picture) then enter the giveaway before July 20th through the rafflecopter below. Please follow the social media links and leave comments to be eligible to win. I live in Toronto.. I love this jewel cos we can wear this in diff style. Nice and detailed Review.. I live in Toronto, ON, and I love that a single piece can be worn several different ways. Live in Lindsay Ontario and I really like the idea of the hooks so you can change our jewellery up. I live in Brampton, Ontario. I love the story of how the company started. It's really inspirational and endearing. I live in St. Catharines, Ontario. I love the versatility of the pieces, what a great idea! I am in toronto. I like how the jewellery can be worn in more than one way. I live in Saskatchewan and I like that one Piece of jewelry can be worn several different ways. live in Saskatchewan; also like the ability to wear the jewelry in several different ways. I am in Ontario and I like that the jewellery was designed with the idea of it being very versatile. I live in Toronto, Ontario. I love the versatility of the pieces. I live in Toronto, love the concept! Especially, the ability to wear it long or short! I live in Ontario.I love that each piece can be worn differently! I live in Ontario. I love how easy it is to put on and the many different ways you can wear it! I live in NB. I love how adaptable each piece is. Bailey Dexter I live in ON, after reading your review and looking at the pic's I really like that they are statement pieces. I'm in BC. My wife would love these pieces. I like how she can wear it in different ways. I live in BC and I like that it's simple and easily changeable. I live in ON and I like that the jewelry is versatile! I live in Ontario and I like that you can wear any piece of jewelry at the office or more casual. The versatility is fantastic. I live in BC. 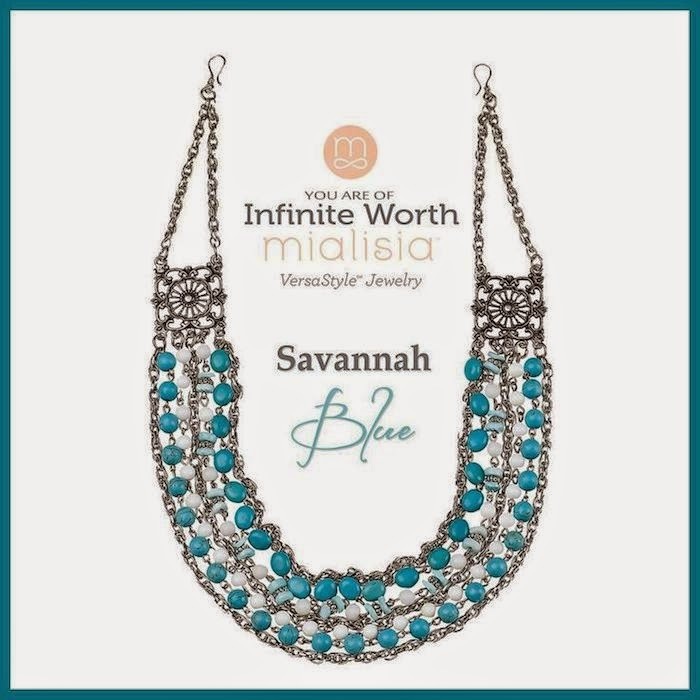 I'm in love with the Savannah Blue necklace!